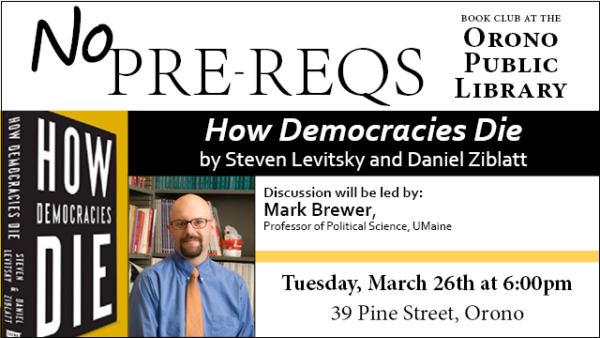 ORONO –UMaine professor of Political Science Mark Brewer will hold a discussion of the book “How Democracies Die” at 5 p.m. Monday, March 25 at the Orono Public Library, 39 Pine Street. Call the library to request a copy of this and other books in the series. Fore more information, call 866-5060.